Minosa: Small bathroom that packs a lot of design into a small space! 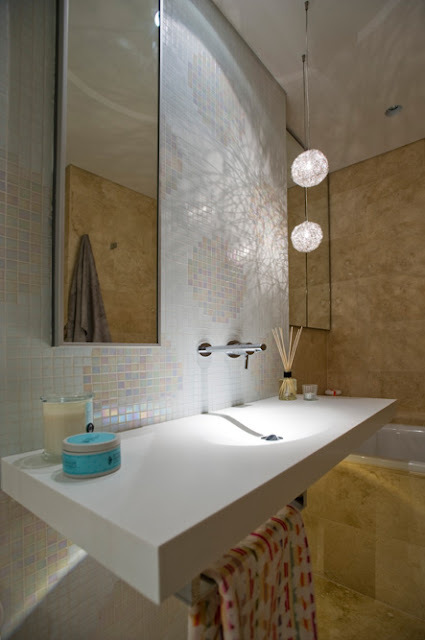 Small bathroom that packs a lot of design into a small space! 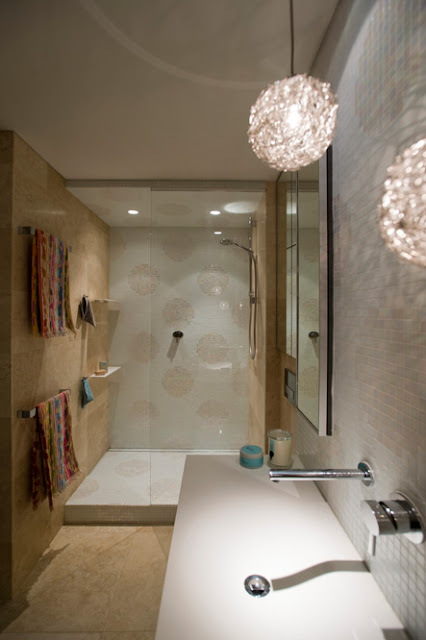 •Create a bathroom space that had a touch of glamour, a space that is playful enough for two young girls now and sophisticated enough as they grow into young women. 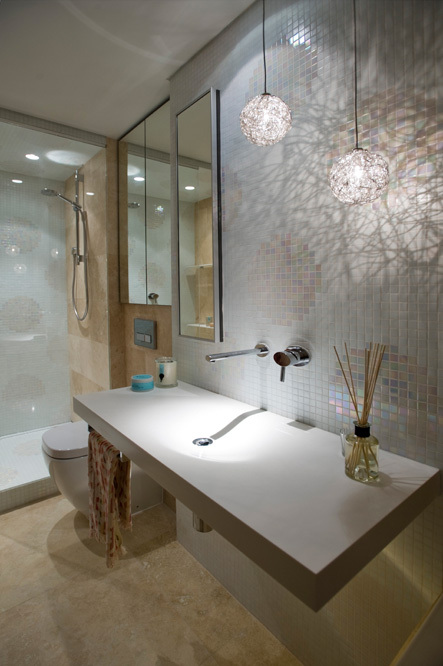 Select bathroom products that are of a very hi standard with a great use of storage and lighting. 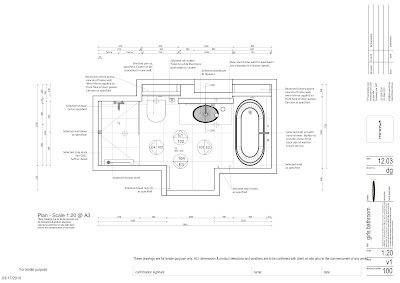 •A small bathroom space with a structural pier, restrictions on the relocation of floor waste locations, no natural light..
• The Minosa designer choose to create false walls which allowed for the use of a in-wall cistern and also allowed the use of a wall mounted washbasin and wall mounted tapware, this would have been impossible without the creation of this centre wall. The dwarf walls on either side of the centre wall allowed for recessed wall cabinets above, we applied bi-fold mechanisms to allow for better access to these cabinets. 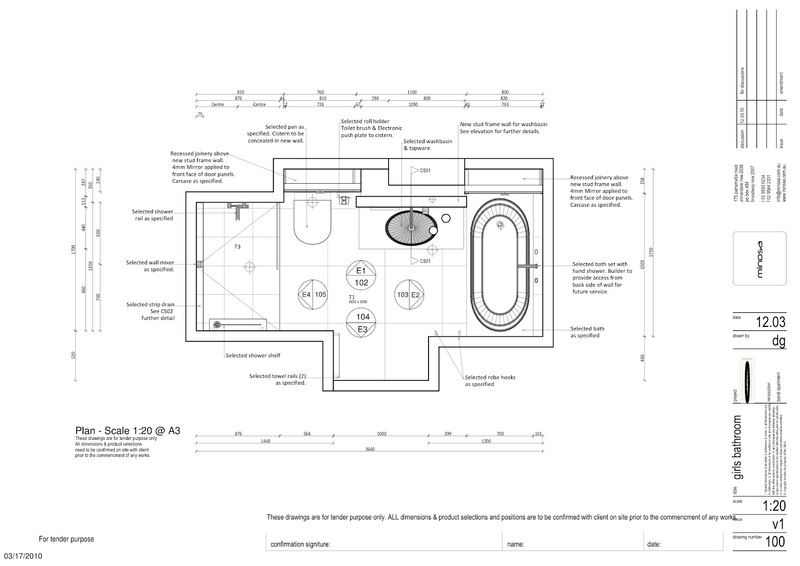 •Lighting was the next step it had to play a large part in the bathroom design as there is no window or natural light into the bathroom. 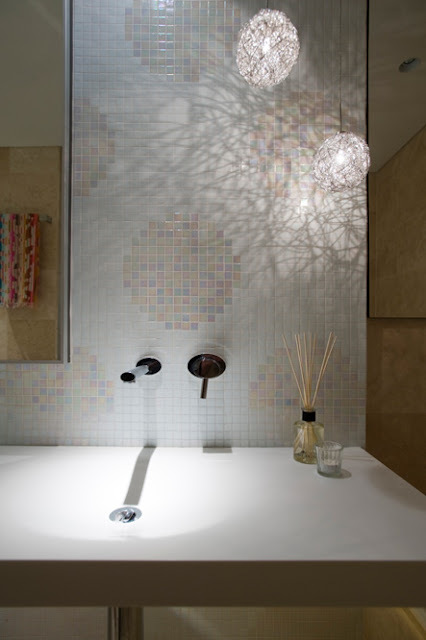 The use of LED was applied to the underside of the washbasin to highlight the space to give a feeling of space, two Catalina & Smith "Sweet Lights" were selected for their decorative appeal, these lights give an amazing shadowing affect which plays beautifully with the decorative Bisazza tile. Recessed low voltage downlight are then applied over the necessary area. These area’s are separately switched for great control. The clever use of recessed joinery gives this small bathroom a feeling of space, the lighting creates a dramatic felling of luxury whilst engaging with the small scale of this floor plan. Coupled with quality bathroom fixtures and fittings this bathroom is a raging playful success.